Munchkin Ruth Duccini in her Munchkin townswoman costume in the classic 1939 MGM film "The Wizard of Oz." Duccini, 95, died in Las Vegas Thursday. Munchkin Ruth Duccini, who played a Munchkin townswoman in the classic 1939 MGM film "The Wizard of Oz," died at age 95 in Las Vegas Thursday. On Sept. 15, 2013, Munchkin Ruth Duccini was a special red carpet guest at Warner Bros.' world premiere screening of "The Wizard of Oz" in IMAX 3D and the grand opening of the newly converted TCL Chinese Theatre IMAX in Hollywood, the very site of the film's 1939 Hollywood premiere. LAS VEGAS | Ruth Robinson Duccini, 95, one of the two surviving Munchkins from the legendary 1939 MGM film "The Wizard of Oz," died early Thursday in Las Vegas. Author of the book "The Munchkins of Oz," Stephen Cox, of Los Angeles, a longtime friend of Duccini, confirmed her death and said she died of natural causes at the Solari Hospice Care Center in Las Vegas, Nev. following a brief illness. 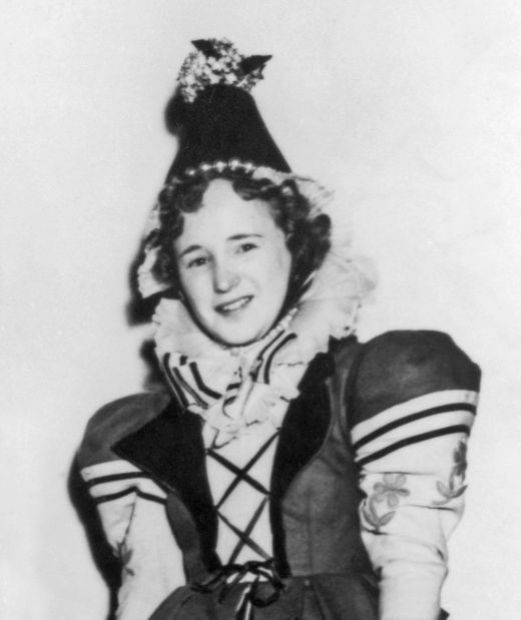 Born Ruth Robinson July 23, 1918 in Rush City, Minn., Cox said she stood 4-feet tall in adulthood, and In 1938, at age 20, traveled to Culver City, Calif. with a troupe of performing midgets to appear in film classic "The Wizard of Oz" as a Munchkin townswoman. "Ruth was a sweetheart of a lady, feisty, independent, and a loving mother, grandmother, and great-grandmother," Cox said Thursday. Duccini was the last surviving female little person from "The Wizard of Oz." Of the original 124 "little people" cast as Munchkins, the final surviving little person from the movie about Dorothy's trip "over the rainbow" is now Jerry Maren, who played a Lollipop Guild Munchkin. He is 93, and lives in a retirement home in Los Angeles. Duccini was also a favorite guest each year at the annual Wizard of Oz Festival in Chesterton. Last September, Duccini was a special guest of honor at Warner Bros. Sept. 15, 2013 world premiere screening of "The Wizard of Oz" in IMAX 3D and the grand opening of the newly converted TCL Chinese Theatre IMAX in Hollywood, the very site of the film's 1939 Hollywood premiere when it was originally Grauman's Chinese Theater. In later years, while many of the other Munchkins, who also made personal appearances, would wear replicas of the whimsical costumes of their Munchkinland character counterparts, Duccini would not oblige. "When people hire me for a personal appearance, they can take me as I am or stuff it," she said in a 1996 interview with Philip Potempa, columnist for The Times Newspaper of Northwest Indiana and Illinois. "I'm not going to wear a costume." One of the few exceptions when Duccini relented and agreed to wear an apron and ruffled blouse and flared skirt, just like her big screen little character counterpart, was during contracted appearances in 1996 at the MGM Grand Hotel and Casino in Las Vegas near her home. Duccini would join fellow Munchkins Maren and fellow Munchkin Margaret Pellegrini, who died last August at age 89, greeting guests and posing for photos in the lobby of the gaming property. The trio would participate in the meet-and-greet sessions in a large-scale replica of "Wizard of Oz" landscape, which was a tourist highlight before it was removed with later renovations. However, Duccini was also one the more outspoken voices of the surviving little people, in regards to the lack of residuals any of the Munchkins received, despite their likenesses used in merchandising and promotion connected with the film, which for years, was held by billionaire media mogul tycoon Ted Turner. Today, Warner Bros. owns the rights to the original "Wizard of Oz" film. "I just think it would be nice for the Munchkins who played characters who have toys and collectibles in their likenesses, like the Munchkin Coroner and the Lollipop Kid, to get a little money back from all of his sales. Ted Turner's got enough," Duccini told Potempa in 1996. Duccini claried whileTurner has been good to the Munchkins by employing them for publicity events at the MGM Grand Hotel and Casino in Las Vegas for promotions, she said the merchandising residual restrictions had always bothered her. "People always ask about if we Munchkins felt cheated during the filming of the movie back in 1939," Duccini said in the 1996 interview. "It seems like everyone's heard about how we got paid $50 or less per week and the dog that played Toto made $125. But for us, that was good money at the time. And to think that I'm going on 80 and still able to be recognized for this one part is a great honor." Duccini told Potempa one of her most common questions fielded from fans was about what it was like to work with Judy Garland. "Was Judy Garland nice? Yes, she was very nice for what we saw of her," Duccini said. "She was only 16-years-old at the time of filming and she had school and tutoring while on the set." Garland died at age 47 of an accidental drug overdose in London in 1969. Duccini joined six other surviving Munchkins, including Maren and Pellegrini, at the 2007 unveiling of their star on the Hollywood Walk of Fame dedicated to the little people in the movie. The group was celebrated as the "elite, petite, only remaining surviving cast members" from the legendary film. She met her husband, Fred Duccini, also a little person (but not a Munchkin in the film) while working at MGM and the two married in 1943. She and her husband lived most of their life in Los Angeles and later retired to Bullhead City, Ariz. They had two children of average size, Margaret and Fred. Ruth's husband, Fred, died in 1994 and Ruth lived in Arizona and Las Vegas in her final years. She is survived by her son, Fred, and daughter, Margaret, and grandchildren and great-grandchildren. 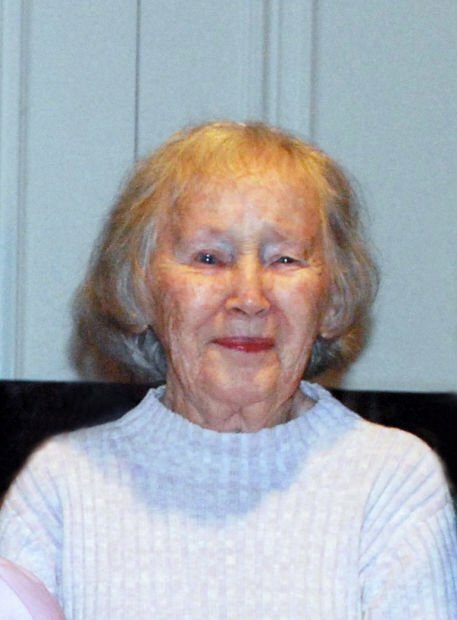 During WWII, Ruth worked as a "Rosie the Riveter" at Douglas Aircraft in Santa Monica, Calif., because of her ability to squeeze into small areas of the planes which larger adults could not. Cox said Duccini had recently told him in and interview: "I worked as a riveter on the inner wing of the C-54 transports used in the war. I'm very proud of my work during the war, maybe more proud of that than being in the movie." Ruth also appeared in the 1981 film, "Under the Rainbow," starring Chevy Chase and Carrie Fisher, a movie poking fun at the apocryphal antics surrounding filming of the original "Wizard of Oz" 1939 movie. "Under the Rainbow was nothing like our experience at MGM," Duccini told Cox in a recent interview. "They played it for laughs and it didn't happen that way at all. We worked very hard on the original movie. It was long hours and heavy costumes. We didn't have much time for ourselves. It was all new to me then and I loved being a part of what is now a classic." Author Cox said Duccini embraced her fame as one of the stars of the Judy Garland storybook film classic. "Ruth was a classy lady, feisty, opinionated, and firm," Cox said. "She greeted thousands of 'Oz' fans over the years, signing autographs, appearing in parades, and posing for pictures, pleasing so many in her travels and 'Oz' fans loved her for it, too. She traveled until she could travel no more. That's why it was so rare to see her at the recent 75th anniversary Oz promotion in Hollywood a few months ago. She said it was going to be her last hurrah."